Welcome back to Channel Chaser! I hope you’ve enjoyed your Fourth of July weekend as much as I have, and now we’re back into this week’s review. In today’s column, I’ll be talking about the mind-bending and definitely ahead of its time drama Twin Peaks. And boy, is it a lot to cover. Let me just preface this review by saying that unless you have a very, very open mind, do not watch Twin Peaks. I repeat, just don’t do it. You will be confused, weirded out, and probably disappointed unless you have some very strange and offbeat tastes in TV. Then again, if you’re really into strange and offbeat things, then you’ll probably straight up love this show. It’s got something for everyone: horror, fantasy, crime, thriller, supernatural, buddy-cop humor, general small-town craziness, closed-door plotting, and the works. But let’s slow down and give you some context before I really get into the thick of things. 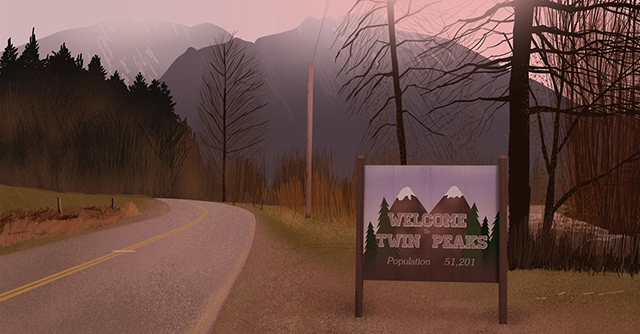 Twin Peaks begins ostensibly as a crime drama much in the same vein as a show like Broadchurch and Gracepoint. A popular and well-liked young girl, this time high-school aged and a prom queen, is murdered in the remote mountain town of Twin Peaks in an especially gruesome manner that hints at the presence of a serial killer. With the local sheriff and his deputies stumped, young FBI agent Dale Cooper comes to town with some unorthodox methods that, unsurprisingly, often get results. Through his investigations, Cooper unearths secrets that could tear the community of Twin Peaks apart, as well as a dark and sinister supernatural presence that could be the cause of everything. Yes, you heard right. While Twin Peaks does start off rather sensibly, the series eventually takes a hard left turn into the land of ludicrous by pulling in all kinds of supernatural elements, from demons, visions, and spirits to Native American mythology and black magic. It’s the kind of bizarre twists and turns that many people have come to expect from David Lynch, creator of Eraserhead and The Elephant Man, and the oddness is enhanced by the fact that the characters apparently buy into it so easily. But if you’re going to understand why, you’d first better understand just whom Dale Cooper is. Cooper, while an FBI agent by trade, is at heart some sort of mystic/hippie criminal investigator who believes in the philosophies of Tibetan monks, among many other things, and applies them to his crime solving: for example, throwing rocks at bottles with his eyes closed to determine who his prime suspect should be. Cooper is mild-mannered and good-natured most of the time, but with a strong moral compass and no tolerance for cruelty or incompetence. This seemingly at-odds nature fits with the entirety of the Twin Peaks narrative, which often seems to directly contradict itself in tone within mere seconds. It’s also pretty obvious that Cooper and his best friend in town, Sheriff Harry S. Truman (yes, like the president), have a very Sherlock Holmes to Watson dynamic (the latter actually says this more than once) in that Cooper is the intellectual while Truman is the down-home people person. Their goofy but genuine friendship as two essentially good guys who want justice for a murdered girl is the anchor that makes the entire rest of the story somewhat more believable, including that Truman buys into Cooper’s mystical ghost-story stuff because he’s seen it work. I’d be pretty hard-pressed to argue with it myself, honestly. Unfortunately, as Twin Peaks aired in the 80s, many audiences just weren’t ready for this kind of show, which I’m convinced would fly much better today as character-driven shows have become much more popular. When the series was abruptly cut short, the murderer was revealed much earlier than planned as a demon from another plane of existence. He was replaced as a bad guy for a mere handful of episodes by Cooper’s former partner Windom Earle, a practitioner of black magic who wants to harness the dark forces surrounding Twin Peaks for himself. This could have been much smoother if the writers had more time to deal with it: as it was, the sudden shift from a murder mystery to a totally supernatural-driven plot seems jarring and even more unnerving than the show usually is. While the plot may be a bit ludicrous, my hat is off to every single actor in Twin Peaks for nailing his or her respective part. I have rarely ever seen a cast so in tune with each other and in genuinely in touch with their characters. If you can get over the essential weirdness of the story, you start to look more at the interpersonal drama and the interplay between characters becomes a lot more enjoyable, especially the eventually friendly antagonism between Sheriff Truman and Cooper’s forensic expert Albert. As for complaints, I could have done without some of the show’s teenage romantic angst, especially between James and Donna. I understand their desire to find out what happened to Laura, but they go about it so stupidly and without the help of Cooper and the rest of the law that it just strikes me as incredibly dumb and dangerous. Those darn kids. Also, does anyone else find it incredibly creepy that Cooper was sort of flirting with Audrey, a high school girl? Of course, they gave Cooper a real love interest in, like, the last few episodes, but it’s too little too late in my opinion. Oh, and as for that ending…what? That’s it? Cooper’s the demon now and that’s the end of it? This can’t be how it ends! That’s too dark, even for Twin Peaks! But fear not, loyal fans: David Lynch has announced that the show will be back next year for a limited series featuring many of the same actors. One can only hope that we actually get some closure for Cooper, and that maybe he’ll be able to escape from Native American hell or wherever he is and get his body back. 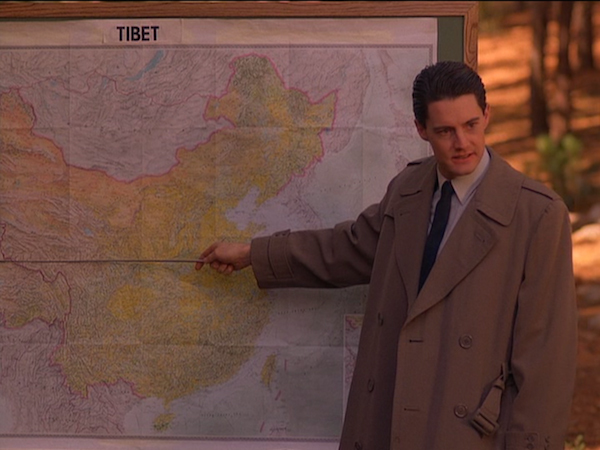 But since this is Twin Peaks we’re talking about, it’s probably not going to be anywhere near that simple. I’ll admit, I was initially hooked on Twin Peaks in spite of myself, and for the first season or so I found the oddness and quirky characteristics of the show kind of endearing. The charm begins to wear thin in the second season though, as does the plot, which was honestly pretty stretched to begin with, and the ending rings hollow for everyone concerned, even though I recognize that it was cancelled. I’ve said it before, and I’ll say it again: don’t watch this show if you have anything but a completely open mind and a love for things that are just plain weird. 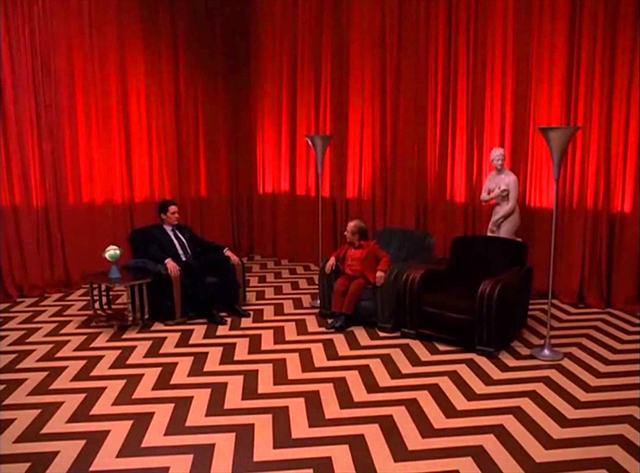 But if that’s something you don’t mind, I think you’ll get along with the Twin Peaks crew just fine.